Peasants during medieval times did not wear much armour due to the cost, which limited them to leather protection and piecemeal metal armour. Leather armour could be crafted from the hides of farm animals such as cows or wild animal hides from bison and deer. These hides were skinned and dried out by the sun before being formed into pieces like leather breastplates and leather bracers. 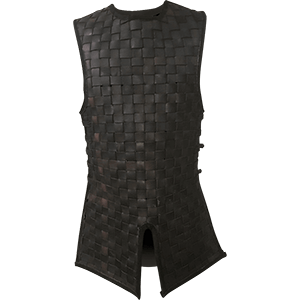 We carry an excellent assortment of simple medieval armour that suits peasant styles, including steel gorgets, suede brigandines, and wrist cuffs, as well as traditional leather armour. 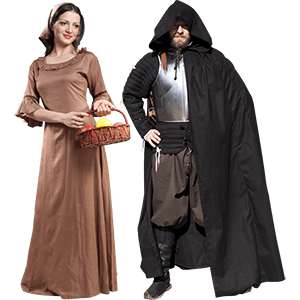 This plain peasant armour works well for the Renaissance fair, costume parties, theatrical productions, and LARP events.